File photo dated 17/2/2016 of the EU and Union flags. An influential MPs’ committee has voiced “grave concerns” over the complacency of the Government’s Department for Business in preparing for Brexit. Brexit campaign groups worked together “beyond a shadow of a doubt” by employing data firm Aggregate IQ for online services, the parliamentary inquiry into fake news heard on Wednesday. Chris Vickery, director of cyber risk research at cyber-security company UpGuard, told MPs he had found details of how AIQ carried out work for Brexit campaign groups VoteLeave, the DUP, Veterans for Britain and Change Britain. Giving evidence to the Digital, Culture, Media and Sport select committee, he said: “I would conclude beyond a shadow of a doubt that there was some sort of collaboration going on. The revelations about AIQ’s work, which Mr Vickery submitted to the inquiry as evidence, went as far as showing the technical tools the company used to help political campaigns but not the precise details of how they were applied, he said. In addition, Mr Vickery said he had no evidence of activity by campaign representatives, only that of developers working for AIQ. He made the discovery after news broke about the alleged misuse of Facebook data by Cambridge Analytica, a company with business ties to AIQ accused of working with another pro-Brexit group, Leave.Eu. While investigating CA’s parent company Mr Vickery said he found a repository of tools which he said could help the users better target individuals with advertising on social media. “It hit me that this is the repository of tools for Aggregate IQ and it looks like Cambridge Analytica and (parent company) SCL are using the source code behind the scripts,” he said. 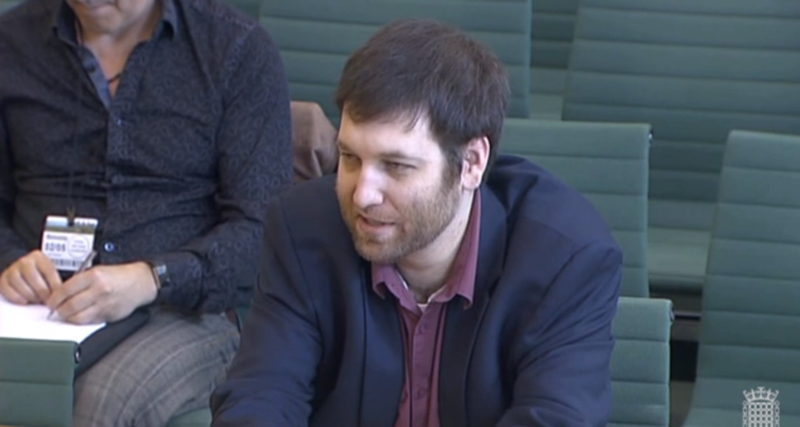 While he could not prove collaboration across Brexit campaigns outright, he said the tools were open and available to anyone with an internet connection access and apply in their work. “It would be a smart way to do it if you wanted to collaborate and have plausible deniability,” he added. Representatives from Vote Leave, Leave.EU, Aggregate IQ and Cambridge Analytica have repeatedly denied any wrongdoing. The Electoral Commission and Information Commissioner’s Office are currently conducting parallel campaigns into pro-Brexit campaign groups and their alleged use of data to target voters with messaging on social media. Mr Vickery said he had also found evidence that AIQ had worked with the anti-abortion Save the 8th campaign in Ireland, and that the company had worked with far-right news site Breitbart in collecting data for advertisements. Although Breitbart UK launched in the build up to the EU Referendum Mr Vickery said he had not found any mention of the website’s British arm. Former special adviser to President Donald Trump, Steve Bannon, was also a former executive chairman of Breitbart and a co-founder of Cambridge Analytica.